Q: I just bought my first tomato plants, but I need a Tomato 101 class! A: Close your eyes for a second and imagine your backyard tomato, the firm plump of it in your hand like a newborn warm from the bath, that amazing blend of sweet and tart acidity, the combined smell of green and ripe around the stem — caught at just the right moment in the sun, and the juice on your tongue, like a fine French sauce, finishing it perfectly. We’ve adopted the tomato, an immigrant from South America, as our own. Occasionally, we recognize perfection. Tomatoes are worth the effort. (Photo | flickr.com/wikipedia.org) Tomato varieties such as Cherokee Purple and Juliet (above) are prolific and tolerant of the Gulf Coast’s heat and humidity. Start with a healthy transplant of a proven coastal producer (Celebrity, Better Boy, Cherokee Purple heirloom, Juliet grape and others). Time your planting for our climate (actually, about a week ago in years when we don’t have a March ice storm, or next week at the latest). 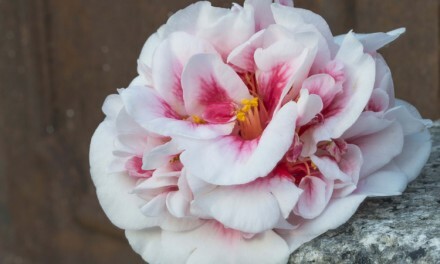 You may see some at the March 18-20 Mobile Botanical Gardens Spring Plant Sale. Area hardware, seed and box stores are also good sources. Plant the transplant deeply — up to half the length of the plant stalk — because roots form along that stalk for a stronger root system. Good roots, better fruit. Set plants about two feet apart so roots have room to develop. Create a small depression around the plant base to catch water. Cut a 3” section of a milk carton and push into the soil to surround the transplant to combat cutworms. In hot sun, shade the transplants for a couple of days while they adjust. 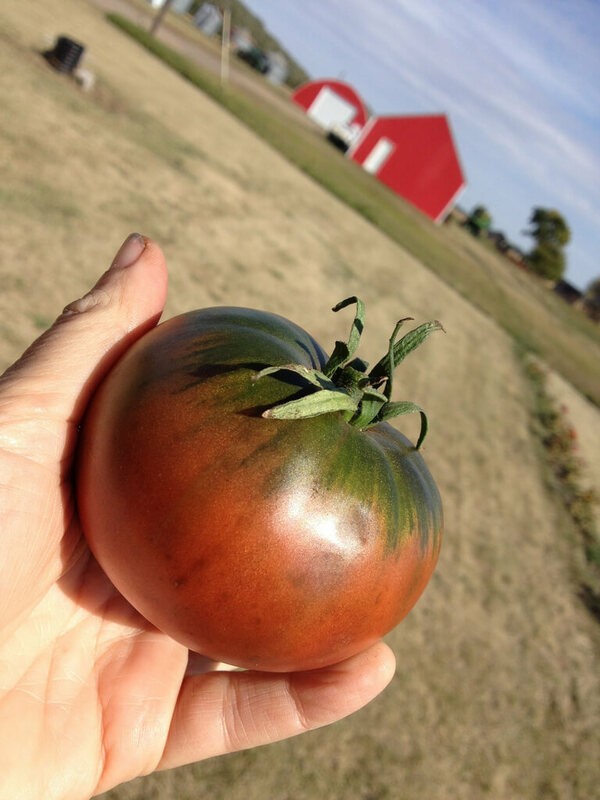 Tomatoes need sun, six to eight hours daily, and this creates a problem for late-planted tomatoes because our summer sun is so hot, which is another reason to plant early. You know the saying, “it’s not the heat, it’s the humidity?” Our humid summers contribute to diseases, such as blossom end rot, which results from a calcium deficiency caused by conditions ranging from drought to over-irrigation and high humidity. Maintain soil pH of 6.0-6.5. Use a soil drench at the base of affected plants: 4T calcium nitrate or calcium chloride per gallon of water. (Photo | flickr.com/wikipedia.org) Tomato varieties such as Cherokee Purple (above) and Juliet are prolific and tolerant of the Gulf Coast’s heat and humidity. Probably the worst tomato problem here is that morning you walk out to find your plants — beautiful just yesterday — shriveled and dead. Bacterial Wilt, a soil-borne bacteria, causes sudden plant death. 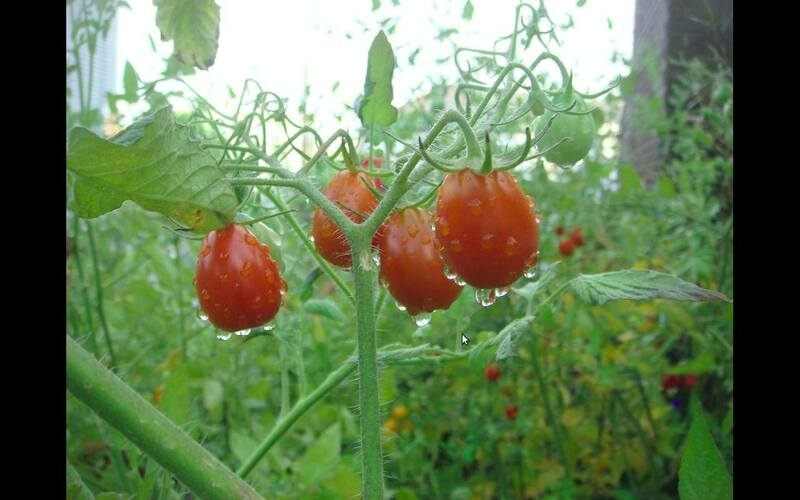 To guard against it, rotate where you grow tomatoes, immediately remove a wilted plant and its surrounding soil, pull up spent plants at season’s end and then solarize your garden soil. And compost, compost, compost. Tomatoes need water, one to two inches per week, but also need to drain well. Sandy soil will require more irrigation, clay soil less, more in intense heat. You get the idea. The other most common pest here is the hornworm, a big, fat green moth caterpillar. Check your plants every morning and pick off the worms to control them. They devour leaves, but leaves do grow back, so if you just keep the number controlled, you can have poison-free tomatoes. Wildlife love to share your tomatoes but usually like them ripe. You can trick the critters by picking the tomatoes green to ripen on a sunny windowsill inside. Fertilizer applications are needed throughout the growing season for optimal production. After the first fruit reaches an inch and a half in diameter, apply one tablespoon of ammonium sulfate in an eight-inch circle around the base of each plant (not directly to the plant). Be sure to use chemicals only according to the directions on the label, following all directions, precautions and restrictions listed. Repeat applications at four- to six-week intervals to maintain a modest, healthy growth rate. As your tomatoes grow, you’ll need to provide them with a support for the mature height and form of your variety. Don’t wait until they are too mature to effectively cage or stake. In an era before the decorative, brightly colored, wire tomato cages now found in the stores and the high-tech, engineered cages found in specialty catalogs, we kids gathered around my parents on the cool St. Augustine carpet under the pecan tree out back and “helped” cut wood sticks to stake tomatoes. For a few summers they even sold them in bundles to neighborhood seed and hardware stores, I think in an attempt to turn the kids into budding entrepreneurs. It didn’t take. We developed more love for the tomato-as-food than for the money to be made. Still, we don’t measure family memories by the dollar, do we? As I search each fall for a place to store those wire cages, I often remember how easy it was for my father to simply pull up his untreated wood stakes — the ends of which had begun their return to earth — to grind and compost them, already anticipating next year’s garden. Where: Jon Archer Center, 1070 Schillinger Road N.
Have you tried growing a hardy hibiscus?